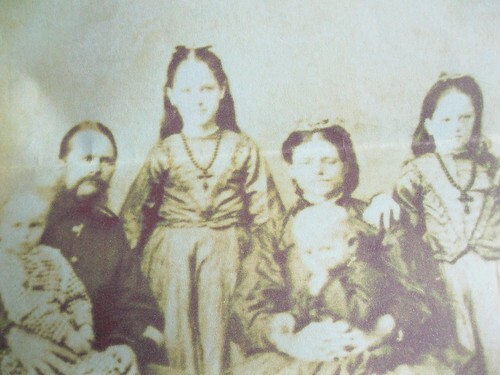 This is a photograph of a photograph of Thomas Yarrow with his wife Catherine (née Lambert, formerly O'Keefe) with her two daughters (Catherine and Margaret) and two childen of Thomas and Catherine. 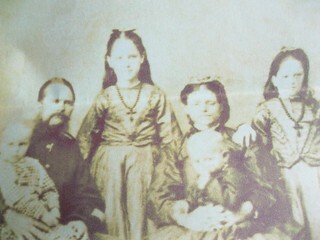 It would have been taken in India during Thomas' time as a Sergeant during the Indian Mutiny. Thanks to Alex Wall for sharing this with me.